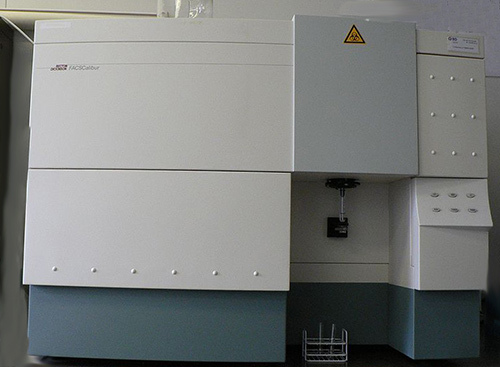 Flow cytometry has a wide variety of applications in both basic research and the clinical laboratory. As knowledge advances in both these areas, lessons learned are used to develop newer flow cytometry systems. GEN interviewed nine experts to find out how flow technology is improving. GEN: What’s new with instrumentation? Are instruments faster? Do they have better multicolor capabilities? What trends are emerging? Dr. Bobat: The flow cytometer market has evolved with the different needs of scientists. There are instruments catering to scientists who are looking for cheaper, simpler units that are easy to use and allow universal access. But you also see the development of more sophisticated instruments that make it possible for scientists to perform complex multiparameter experiments. Recent additions to the market include instruments that incorporate increased flexibility with new laser/detector configurations, as well as instruments that have novel fluidic systems. These systems can allow higher acquisition of data without compromising resolution. Because they are always trying to understand biological systems more fully, flow users are always demanding better tools. More flexible tools, for example, would enable flow users to identify new cell subpopulations and their corresponding functions. Dr. Gulnik: A predominant trend that has developed in flow cytometry instrumentation could be called “smaller and simpler.” Incorporating new technologies—such as high-sensitivity, low-noise avalanche photodiode detectors; wavelength division multiplexing; and advanced signal processing from the telecom industry—has resulted in a significant reduction in instrument footprint and cost, while improving resolution and sensitivity. Instruments have become more customizable with multiple laser configurations, and they have incorporated new light-scatter detection methods to cater to the growing interest in resolving small particles. Another trend is addressing the demands of workflow simplification in clinical cytometry, including the introduction of the first “load and go” flow cytometer this year. Ms. Ma: Recent advances in flow cytometry and cell sorting address the diverse needs of researchers. Newer systems offer greater numbers of fluorescence detectors, high-throughput sample acquisition/deposition, and seamless progression from cell sorting to downstream studies. Cell sorters have become easier to use with automated methods for setup, calibration, and alignment. These systems allow researchers to perform tasks that once required the presence of a flow cytometry specialist. Personal cell-sorting systems such as Bio-Rad’s S3e™ cell sorter permit researchers to do more science without ever having to leave their own labs. Also, such systems allow easy transition to quantitative PCR, western blot imaging, and similar downstream applications. Dr. Aggeler: In the last two years, multiple small-footprint instruments have come to market that fit the need for an easy-to-use instrument for smaller lab budgets. For example, ACEA Biosciences’ NovoCyte analyzer is compact and allows analysis of up to 13 colors, using a three-laser system at a price point no higher than $100,000. This makes flow cytometry accessible to smaller institutions and allows independence from large core labs. A second trend is an increased need for small-particle analyzers. Such instruments would be valuable for the study of microvesicles. Emerging concerns include the need for standardization. For example, if instrumentation could be standardized, it might be possible to resolve debates on sample handling/preparation techniques. Discrepancies here can skew reported results. Dr. Chase: There are several trends in flow cytometer instrumentation. First is the addition of more detectors and more lasers. This is in response to the introduction of Fluidigm’s CyTOF, which is able to detect more than 40 markers simultaneously. Becton Dickinson responded with a beta version of the LSRFortessa, which is able to detect over 30 colors simultaneously. Propel Labs showed a beta release of Yedi, a 30-color instrument, at CYTO 2015. Several other companies have introduced cytometers able to do over 10 colors. Another trend is the use of spectral unmixing to minimize reagent cross-talk. This technique can allow instruments to detect 10 colors with a single laser. A third trend is the emergence flow cytometry instrument manufacturing in East Asia, from 6-color, two-laser instruments to 10-color, three-laser instruments. Lastly, there is a trend toward cross platform quality control systems for tracking instrument performance. This year, Cytek introduced QbSure beads and software to track performance on a variety of cytometers, including Cytek’s instruments, Becton Dickenson’s Diva-based instruments, Miltenyi Biotec’s MACSQuant, Beckman Coulter’s Cytoflex, and Thermo Fisher Scientific’s Attune. Mr. Smith-McCollum: The range of disciplines and applications for flow cytometry is expanding every year, and routine assay panels have grown to 10 colors and more. Flow users need more lasers and detection channels to support novel reporter molecules and larger panels, and to ensure instrument flexibility. In response, EMD Millipore is expanding the range of laser combinations and channels in the Guava® easyCyte line. Imaging flow cytometry, which combines the best of flow cytometry and microscopy, continues to revolutionize flow cytometry. There are now over 600 peer-reviewed papers utilizing the Amnis® imaging flow platforms in diverse disciplines and applications. Dr. Mathieu: Major technological advances in the flow-cytometry field for instrumentation, reagents, and data analysis have surfaced over the last decade to allow the simultaneous assessment of multiple parameters with high resolution. Flow cytometers are now up to 10 times faster with no loss in data quality, and they are capable of detecting 20 parameters in single cells due to the integration of extra lasers. Bead-based flow cytometric immunoassays, fluorescence cell barcoding, image flow cytometry, and mass cytometry are up-and-coming techniques that are now used to improve the synchronous acquisition of phenotypic and functional factors, and to make flow cytometry a truly high-throughput and high-content technique. Ms. Bradford: Flow cytometers are evolving to do more with less. More lasers, more detectors, faster collection rates, higher throughput, and increased automation give users the ability to get more information from smaller samples in less time. Streamlined workflows are possible using no-lyse no-wash techniques. These techniques, which are enabled by the acoustic focusing of the Attune™ NxT flow cytometer, eliminate the need for sample processing while providing the ability to detect exceedingly rare cells. Intuitive user-interface facilitates operation without requiring the operator to be a technical expert, and it provides a powerful tool for use in emerging areas such as biofuel development, environmental testing, and synthetic biology research. GEN: What about reagents and fluorophores? What’s novel here? Are there tags with narrower fluorescence emission that permit greater discrimination and, consequently, more labels per cell? Dr. Bobat: Multicolor flow cytometry is constantly evolving as an expanding array of fluorochrome choices become available, including a new generation of fluorescent tags. These tags offer improved spectral characteristics while minimizing spectral spill-over. Brighter dyes enable staining where marker expression is low, such as with intracellular staining. Quantum dots are semiconductor nanocrystals that expand fluorophore options for often underutilized ultraviolet and violet lasers. They resist photobleaching, and their narrow emission spectra allow for minimal compensation with a single excitation source. However, their promiscuous excitation spectra means that any quantum dot can spill indiscriminately into different filters under high-intensity light. Newer organic polymer-based dyes, including Brilliant Violet™, Brilliant Ultraviolet™, and Brilliant Blue™, are revolutionizing the design of fluorophores. Based on a conducting polymer (Sirigen Technology), they allow multiple violet dyes to be excited by one laser. Unlike quantum dots, organic polymer-based dyes have discrete excitation and emission wavelengths, facilitating discrimination of spectral spill-over. Mr. Malayter: Flow cytometry, with its ability to acquire and analyze millions of individual single cells simultaneously, to use multiplexing capabilities, and to detect both cell surface and intracellular proteins in a straightforward workflow, has long been the standard for characterizing heterogeneous cell populations. Nevertheless, flow cytometry is constrained by the availability and adequacy of antibodies to measure all analytes of interest. Noncoding RNA, messenger RNA, viral transcripts, unique model organisms, and targets for which antibody development is troublesome have not been able to utilize the power of flow cytometry, and have historically required that researchers conduct numerous disconnected experiments to analyze these cellular systems. With the launch of the PrimeFlow® RNA assay, scientists can now reveal the dynamics of RNA and protein expression simultaneously within millions of single cells. This assay employs a proprietary fluorescent in situ hybridization (FISH) and branched DNA (bDNA) amplification technique for simultaneous detection of up to three RNA transcripts in a single cell using a standard flow cytometer. RNA detection may be combined with intracellular and cell surface antibody staining to elevate the understanding of single-cell dynamics to a new dimension. Dr. Gulnik: Current developments in the fluorescent-dye field focus on addressing customer needs—increasing the number of colors that can be excited by each laser, providing brighter dyes for the detection of dim antigens and small particles, and working to minimize spillover between channels. There is also a growing interest in exploring the near-infrared space in flow cytometry, and I anticipate some future developments there. In terms of workflow solutions, new dry reagents are now available that provide long-term, room-temperature stability, help to reduce operator errors, significantly simplify experimental workflows, and allow for global standardization of both clinical and research assays. Ms. Ma: As instrument capabilities expand, reagents and fluorophores also need to improve to complement this growth. Using compensation for spectral overlap can circumvent some complications associated with multiplexing. One method to avoid technical difficulties is to add more spatially separated lasers to excite fluorophores separately.However, to really make a difference, novel reagents and fluorophores with narrower emission profiles are necessary to allow for better discrimination of signals. Additionally, improved chemistries along with optimized optical filter sets will eventually facilitate the ease of 20+ color experiments. Finding a way to increase the number of fluorophores per laser beyond current capabilities will be critical to empowering researchers. Dr. Aggeler: As access to flow cytometry increases, the need for improved antibody validation has increased. Recent publications on antibody reagents specifically have requested better validation, which can be compounded in flow cytometry by the addition of fluorophores. Eighteen-color flow allows the identification of specialized cells in metastatic cancers or the immune response to diseases such as multiple sclerosis beyond broad categories. We have made it our mission to develop new antibodies that enable researchers to identify and distinguish those rare and specialized cells. There is still a clear need for bright violet and far-red fluorescent compounds to expand the range beyond the 18 colors. Mr. Smith-McCollum: Flow users are taking advantage of compact and affordable multilaser flow cytometers to incorporate new fluorescent conjugates, dyes, proteins, and molecular probes in their assays. EMD Millipore’s Amnis Protein Aggregation Kit and SmartFlare™ Live Cell RNA Detection Probes are excellent examples of novel reagents and applications. The Amnis Protein Aggregation Kit combines Enzo Life Sciences’ ProteoStat® reagent and Bodipy® dye to detect protein aggregates and silicone oil droplets in protein formulations. SmartFlare probes fluoresce when they detect specific RNA targets in live cells, allowing live-cell sorting on RNA markers and the study of gene expression via live-cell imaging. Dr. Mathieu: Due to their sensitivity, fluorescent molecules are the most frequently used labels in cytometric experiments. With the ever-present need to increase the number of markers for a clear phenotyping of defined cell populations within a heterogeneous sample, there came the need to develop new fluorophores with diminished spillover, enhanced stability, and improved signal. In addition to small organic molecules (such as fluorescein) and pigment proteins (such as phycoerythrin), nanoparticles (such as quantum dots) and polymers from the electronics industry are now being optimized to create tags with enhanced brightness, low background, and a variety of excitation and emission wavelengths (such as violet dyes). Ms. Bradford: Increasing capabilities of cytometers allow researchers to answer more complex biological questions using highly multiplexed experiments. Also cytometer development pushes new reagent development. Fluorophores with narrow excitation and emission profiles are essential for use in multicolor testing to reduce spectral overlap, which typically complicates experimental design and data interpretation. Moving beyond immunophenotyping, multiple functional assays can be combined to create a more complete picture of cell health. Fluorescent protein reporters are being used more and more. Learning fluorescent techniques can be daunting; the Molecular Probes™ School of Fluorescence provides fundamentals of fluorescent technology shared by scientists themselves to help researchers.